Question id: 19. This question is similar to one that appeared in an IB Studies paper in 2012. The use of a calculator is allowed. A solid metal cylinder has a base radius of 5cm and a height of 9cm. (a) Find the area of the base of the cylinder. (b) Find the volume of the metal used in the cylinder. (c) Find the total surface area of the cylinder. The cylinder was melted and recast into a solid cone with a circular base radius, OB (where O is the centre of the circle), of 7cm. The vertex of the cone is the point C.
(d) Find the height, OC, of the cone. (e) Find the size of angle BCO. (f) Find the slant height, CB. (g) Find the total surface area of the cone. 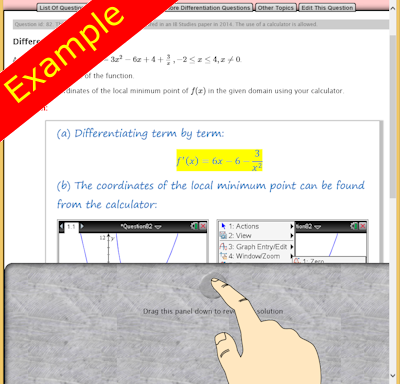 If you need more practice try the self-checking interactive exercises called Surface Area and Volume.